GE's Packaged Solutions provide fully integrated, modular solution sets comprising of engineering, design, manufacturing assembly, wiring, testing and commissioning support for protection, control and automation of power system applications. Adhering to the world class quality control standards, GE's Packaged Solutions are built on an advanced GE product base and feature seamless integration with legacy and multi-vendor devices and systems. GE's Modular Packaged Solutions (MPS) are a comprehensive set of pre-designed, fully integrated protection, control and automation modules for generation, transmission and distribution applications. The MPS are well suited to provide optimization of protection, control and automation designs for green field and brownfield substations. The MPS module design philosophy allows for flexibility in design, engineering, installation, commissioning and upgrades throughout the life of your protection and control system. GE's Packaged Solutions offerings included custom engineered protection, control and automation solutions for customer specific applications. These solutions leverage GE Packaged Solutions modular designs and while providing full flexibility to integrate multi-vendor legacy products and technologies. Application Tailored: The custom engineered solutions will be tailored to your application needs and specifications. Solution: Direct interface to the SCADA Master Stations provides effective communications between IEDs over multiple communication protocols, as well as a direct interface to switchyard equipment and devices. 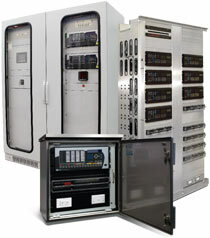 GE's retrofit solutions are comprehensive modernization and upgrade solution sets for a variety of legacy protection and control relays and subsystems. Retrofit Solutions provide one-to-one retrofit upgrade solutions leveraging state-of-the-art microprocessor based protection devices for advanced protection and control functionality. To learn more, download the Multilin DGPR brochure. The Multilin DGRP is a fully integrated retrofit solution of GE's legacy Multilin Generator Protection DGP Relay. 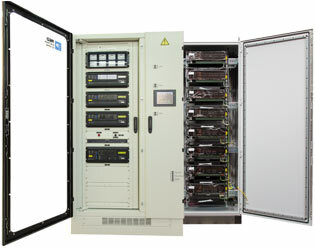 The Multilin DGPR is designed for a one-to-one replacement of a Multilin DGP relay with a G60-based retrofit solution. The Multilin DGPR is well suited for large hydro, gas and steam turbine generators, providing state-of-the-art, modern protection and control functionality for these critical power system assets. 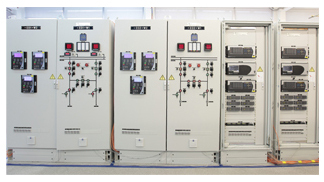 GE Packaged Solutions offers projects in the area of protection, control and automation. The typical scope for such projects includes engineering a P&C and/or automation system, supplying packaged solutions, and assisting and supporting site acceptance testing and commissioning. Modular solutions offer flexibility and quality. They can be put in place for temporary or permanent situations, and are built in controlled environments that are not subject to the construction delays that plague traditionally built options. GE’s Substation Controls in a Box is a comprehensive, fully integrated, protection, control, automation, and communication solution for distribution utility and industrial applications. 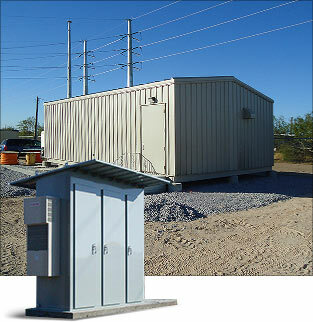 This packaged solution is well suited for projects of all sizes, from small to large, in distribution utility, wind collector and industrial substation applications. It provides state-of-the-art, plug and play capability.